High Desert Lanes is a 16 lane facility equipped with pin spotters with automatic scoring. 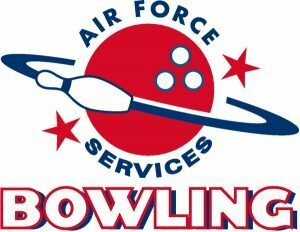 Bowling programs such as glow-bowling, leagues and tournaments are available. Youth birthday packages are also available and arrangement for parties may be arranged at the bowling center. The Pro Shop offers shoes, balls and ball measuring and drilling as well as special orders. Drill work and other technical services are by appointment only. Unlimited games and shoe rental for only $5! Unlimited glow in the dark bowling, music and a fun atmosphere for all! Bowl your Sunday away with unlimited games and shoe rental. Enjoy a variety of music and your favorite sports team on one of our big TVs. $5 per person, includes three games and shoe rental. Units may reserve lanes anytime during open bowl for parties, commander’s call and team building events! Show your ID on your birthday and receive three free games and shoes. $6 per child – includes 2 hours of bowling, shoes and a soda. $11 per child – includes 2 hours of bowling, shoe rental, bowling themed decorations, and a choice of a kids meal and drink. $11 per child – includes 2 hours of bowling, shoe rental, bowling themed decorations, and 2 slices of pizza and a drink. Private and group lessons available, call for details or ask at the front desk when you come in. Our full service pro shop is open! Is it time to resurface that tired old bowling ball, or perhaps replace the obsolete equipment? Come see what’s new in today! Don’t see it on the shelf? All merchandise can be special ordered and available in only a couple of days! See the staff at High Desert Lanes for details. Come in with your family or friends and all moms will receive free unlimited games and shoe rental.